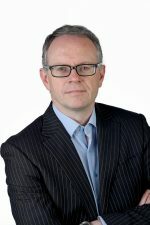 Dara Keogh is the CEO of GeoDirectory, an innovative technology company providing unique and definitive databases of all 2.2 million residential and business addresses in the Republic of Ireland. GeoDirectory’s unique products has been used by thousands of Irish and international organisations and millions of consumers each week. Dara’s specialities are in Innovation, Data Management including GDPR and in Location Mapping and Address Management. Dara has an MBA from University College Dublin, a Degree in Information Technology from Dublin City University and a Degree Economics & Management from the London Business School.